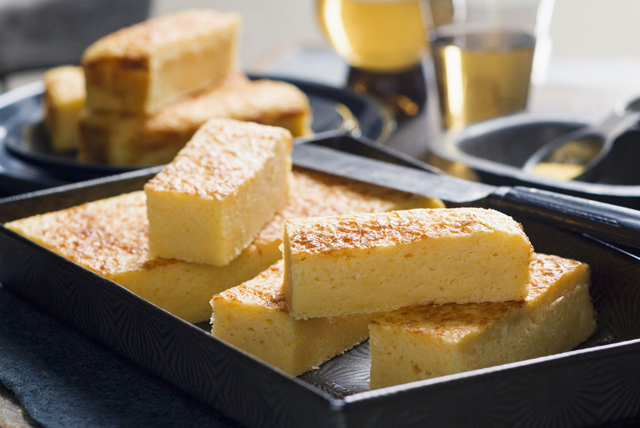 Beer gives this moist cornbread a delicious flavour boost. This easy-to-make cornbread recipe is the perfect complement to any meal. Combine first 4 ingredients in large bowl. Whisk all remaining ingredients except cheese in separate bowl until blended. Add to cornmeal mixture; stir just until blended. Pour into 8-inch square pan sprayed with cooking spray; sprinkle with cheese. Bake 20 to 22 min. or until top is lightly browned and toothpick inserted in centre comes out clean. Stir 1 cup Cracker Barrel Shredded Old Cheddar Cheese into cornbread batter before pouring into prepared pan and baking as directed. Substitute buttermilk for the 2% milk.